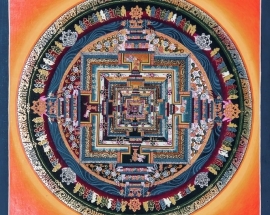 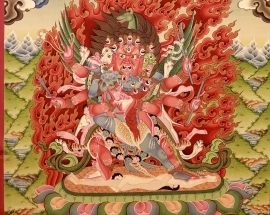 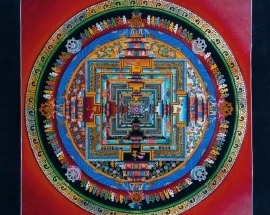 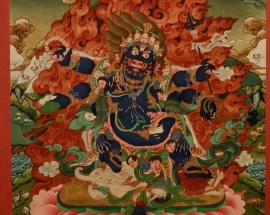 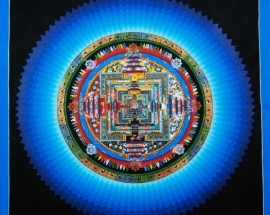 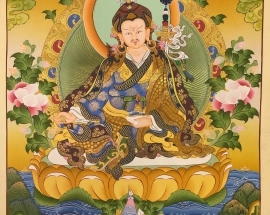 Section by section the beautiful thangka painting describes the cause of all evil and its effects. 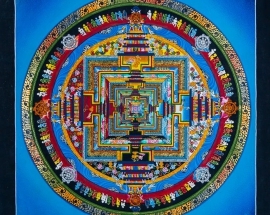 Picture by picture it reminds us that everyone is always his or her own judge and responsible for their own fate, because, according to Karma, causes and their effects are the fruits of one’s own deeds. The fate is represented by Yama, who holds the wheel in his claws by the very top. 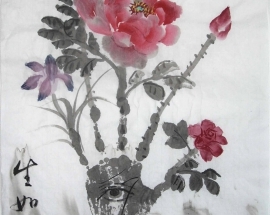 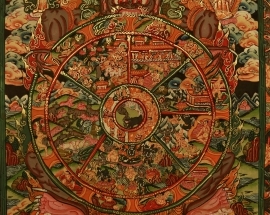 This design is believed to have been drawn first by Buddha himself. 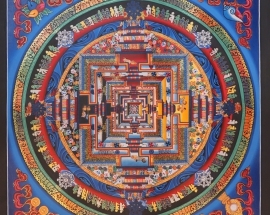 It portrays the endless life circle of human beings. 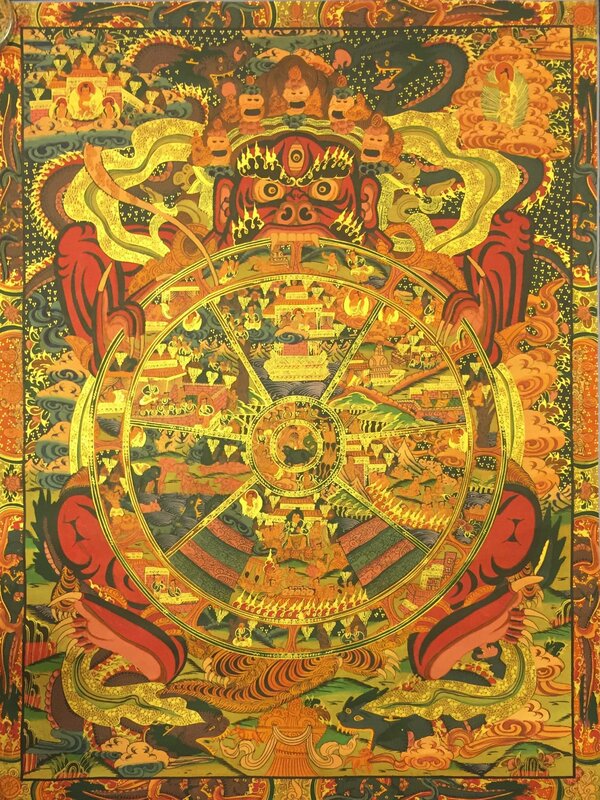 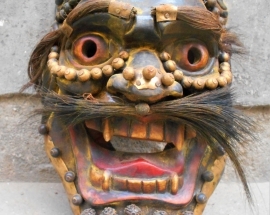 A minister demon, Yama, the god of death, clutches the wheel. 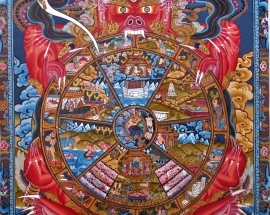 The center of the wheel has a small circle with a pig, snake, and rooster that each symbolize a cardinal sin; ignorance, anger, and lust. 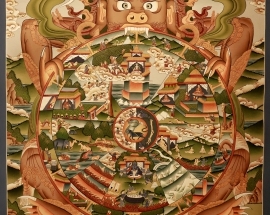 The animals are biting one another, which symbolizes their interconnectedness. 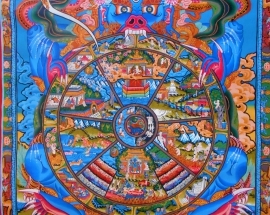 The images in the hub of the wheel represent the three poisons of ignorance, attachment, and aversion.